I think this post might be late. I am having too much fun looking at our flickr pool. 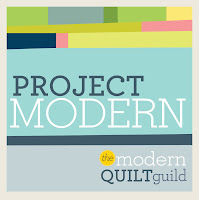 I’m really excited to be participating as a designer in the Layer Cake Quilt Along! I’ll tell you a bit about me first, then more about my block. Quilting has brought me joy for 14 years. I started as a newlywed, anxiously dealing with fertility issues. 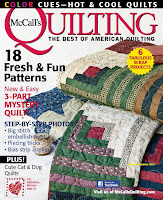 I discovered quilting through my husband’s granny’s old quilt magazines. I never looked back! 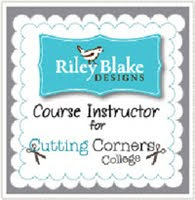 Self-taught, I started by designing wedding wallhangings and baby quilts for family. 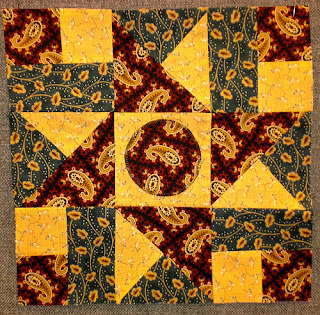 I am fascinated by the names of quilt blocks and enjoy reading about the history of women’s lives sewn into quilts. 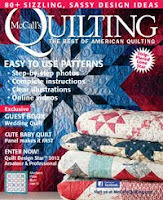 After purchasing a book by Barbara Brandeburg in 2008, I discovered the online world of quilt blogs. 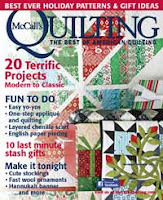 I started my own quilting blog, on my birthday, in 2009. 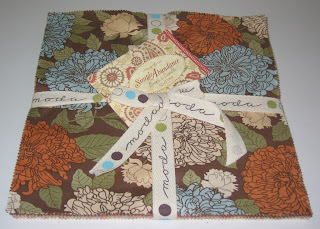 In 2010, I released my first pattern for sale, “Eat with Joy! Placemats”. I enjoy working with traditional blocks and bright, contemporary fabrics. I began as a patchworker, but have slowly come to love appliqué and, more recently, free form and liberated piecing. My 9 year old daughter has just begun her quilting journey and my 3 year old son likes to pick out fabrics. My husband is patiently waiting for 2 queen size quilts to be finished for our bedroom - the first one started almost 10 years ago! 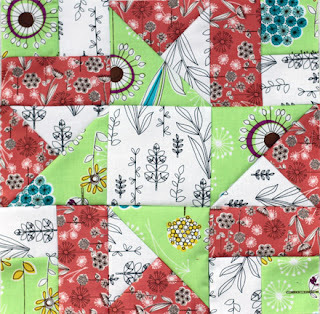 I am fortunate my family shares my joy of quilting with me, and to live in Northern Ontario, Canada, where I am constantly inspired by the blue sky, green trees, and friendly quilters. To get ready for writing this blog post about myself, I asked my blog readers what kind of questions they would ask a designer. One question that came up was – what comes first? The fabric or the pattern? For me, it can be either one! 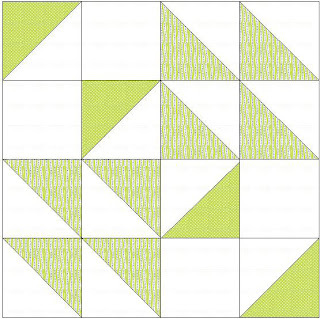 I really love the layer cake I picked to use for the quilt along – it’s Prayer Flag by April Cornell. 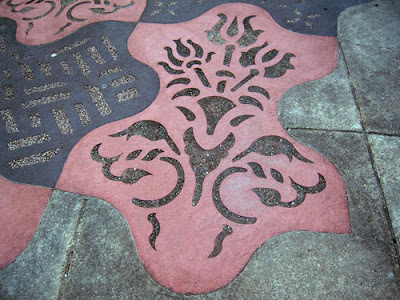 I wanted to save it to make a special pattern for it – something that would feature all of the prints. When Konda put out the call for designers for the Layer Cake Quilt Along, I knew I had found my design! 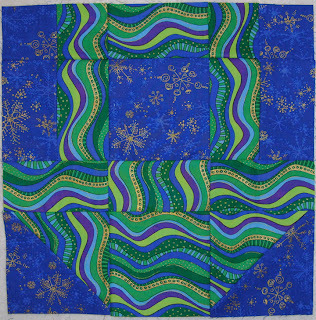 Sampler quilts are a great way to feature many different prints from the same line of fabric. I am really happy that I chose to use my fabrics to make these blocks – and really happy to have the chance to design a block for it! For the Layer Cake Quilt Along I made a basket block. Basket blocks are pretty traditional and usually include some appliqué – not this one! The challenge here was to cut the pieces from 10 inch squares. I’ve included some pretty detailed cutting photos to help you make sure you get all of your pieces from your chosen fabrics. I hope my fabric tips help you in creating your own sampler baskets – it’s a great block to feature one of the large prints from your line. 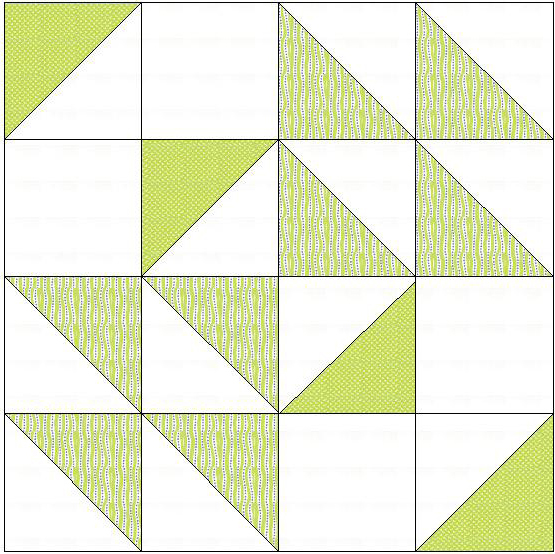 I’ve challenged myself to make 2 quilts for the Layer Cake Quilt Along! Other quilters have too – you can read about them in one of the discussion threads at the quilt along Flickr group. For my second quilt, I’m using fat quarters and I’ve included separate cutting instructions for using fat quarters. 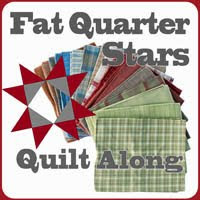 You also have the opportunity to use only 2 fabrics with the fat quarter option. I’m looking forward to seeing your blocks! CLICK HERE for the instructions to Block Three. Well, any pictures posted in the flickr group by tonight will be entered into the first drawing. About 10 ish tonight (Mountain Time) I will post my Block TWO. All blocks BEFORE mine are those entered into the first drawing. It doesn't matter which block - just the one's posted before mine. If you post your block AFTER mine, then it will be entered into the next drawing. I will post the winners tomorrow. Sarah has ﻿graciously donated a Pat Sloan book called Fast-Forward Quilts. 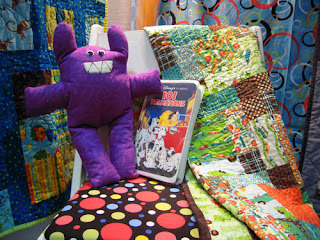 The quilts in the book are made using precuts! 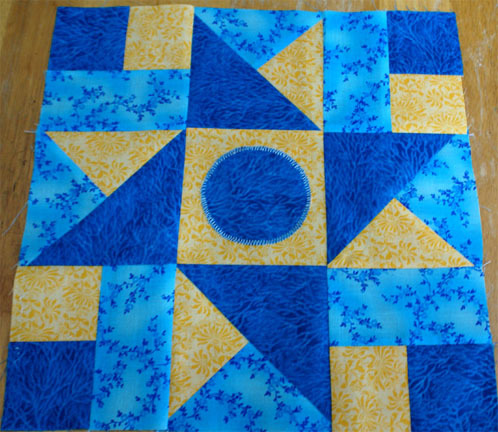 Perfect for our quilt along! I also have a couple charm packs that need to find a new home. So get your blocks posted, and I will see you tomorrow! Here is the much anticipated conclusion to the sweater trilogy. Click here for part one and here for part two. My two middle children picked this option. 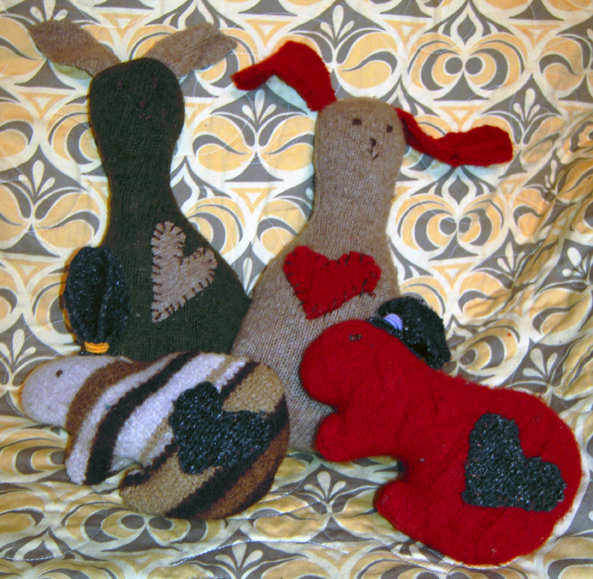 Here's how their bunnies turned out. They are the two bunnies in front. I didn't do the two tone ears. Felted wool doesn't fray so I just used the one layer for ears. Notice that the first thing those two silly girls of mine did was put their bunnies' ears in pony tails. 2) The taller bunnies came from a conglomeration of other ideas that I sketched out that the two year old HAD to have, so the baby got that kind too. 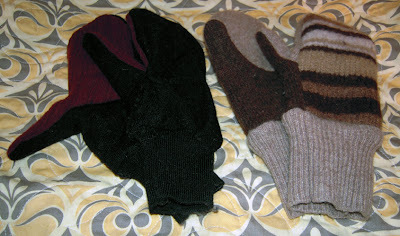 3) The third choice was mittens from THIS great pattern from my neck of the woods. It even has a video! So fun! And they went together quickly too. Just three seams each. All of that was made in 2-3 hours. It was fun for all of us. I think I need to make more mittens. I think I need more sweaters! I think I need that wool quilt! I think I better put the wool away and meet a few deadlines before the wool takes over! 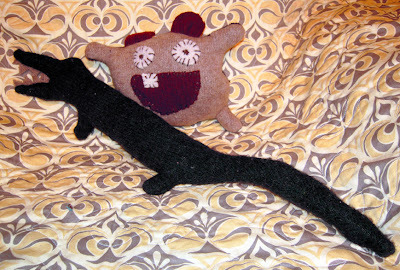 The thing I liked about the wool (remember it had all been felted -- I had washed it on a hot/cold cycle and dryed it in my dryer) is that it was easy to work with, it didn't fray similar to fleece, but it looks so much nicer than fleece. The stuff I put on the animals was just whipped stitched on -- quick and easy -- just enough to hold it in place. No iron on, no fraying, just plopped it on and stitched. I used a thin yarn with a yarn needle. I had brown and used it for everything. Thinking about giving wool a try? Go for it! Beware, it's like a good book -- hard to put down! It's a needle holder. Please note, this is Amy's sample -- not mine. Mine looks a little more, well, a lot more. . . what's the word. . . . Oh yes, primitive. Me and embroidery didn't get along too well. I'm afraid it took some growling to get my embroidery done. I just happened not to have taken a picture. Oops! 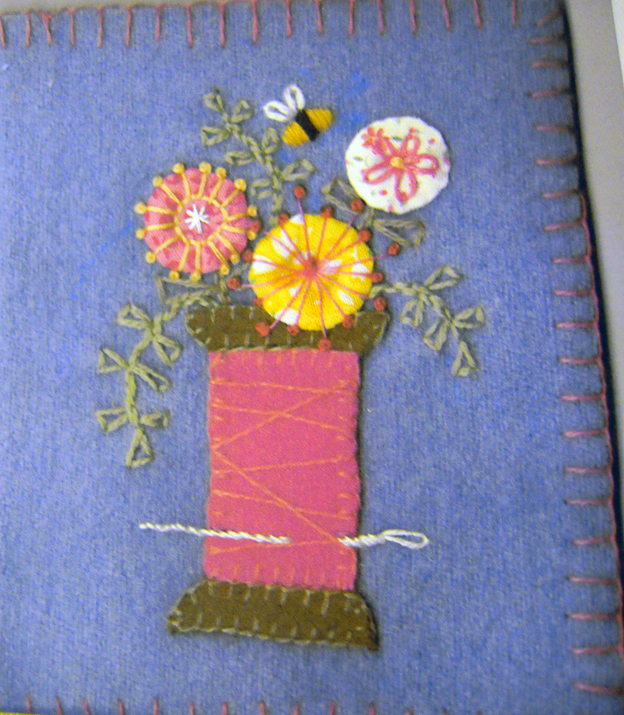 While I did not get along with the embroidery, I enjoyed the wool applique. See the spool of thread? 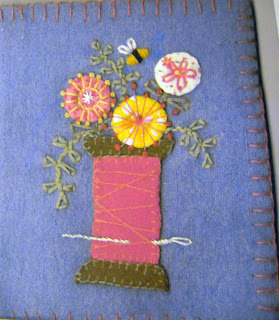 That's the wool applique. It was fun! What does that have to do with sweaters? Well, only that I realized that everything I had seen the day before in Lisa's demonstration was do-able! Oh! That was day two. Day three is what I did with days one and two. Stay tuned for the attack of the not so killer sweaters! We have winners! These are the winners from the first flickr pool drawing. You will notice that my block has now been posted in the flickr pool. All the blocks before mine were entered into the random drawing. All those after my Block One will be entered into the next drawing. So who do we have this time? Thanks everyone! Those who have won, be sure to send me an email (kluckau@moosequilts.com) with your mailing address so we can get those out to you. The next deadline, for Block Two, is November 30th. I am thrilled to see what you are all doing with block one! Love it! Let's see what you do with block two! Bringing us Block Two is Vickie Eapen. 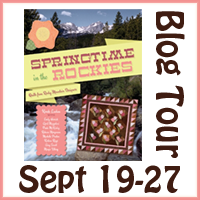 You may know her blog, Spun Sugar Quilts. Yes, that Vickie! I can't imagine that you haven't seen her blog, but if you haven't, it's worth your time to go check it out. Right now she is part of a blog hop that is posting holiday cookie recipes among other things. Her Andes Mint Cookies for Today sound so good I may have to break out my cookie sheets. I will attempt cookies on occasion though that's sometimes as far as my cooking goes. Hi I am Vickie Eapen. I live Ohio but born and raised in Iowa. 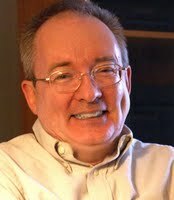 I have 2 daughters and one fabulous husband who allows me to indulge in quilting and designing as often as possible. My career is dentistry. I have been practicing full time for over 10 years. I have never been very good with idle hands, sewing, quilting, knitting and crafting help satisfy the need to be doing something. I started sewing when I was 8 years old. I made my first quilt/doll quilt when I was about 10. I still have that quilt. Over the years I have done cross stitch, crochet, knitting, scrapbooking, stamping, rug hooking and quilting. I started blogging about 5 years ago to journal my knitting projects. 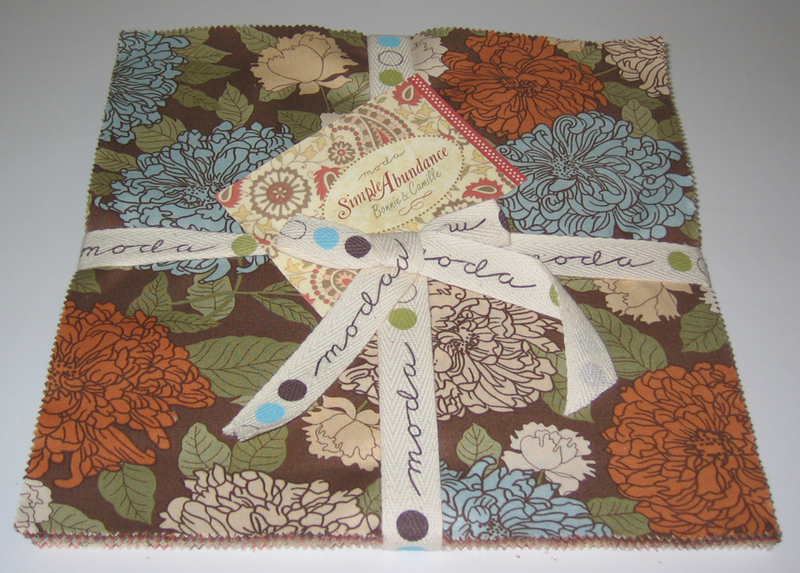 Fast forward to January 2009, when I found Moda Bakeshop, I started designing simple projects. 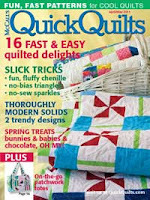 Now I have projects in Quilts n More, Quiltmaker and many others coming soon. 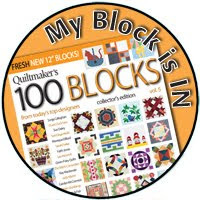 I am excited to design a block for the quilt along. 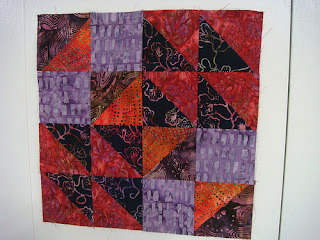 I participated in the jelly roll quilt along and found it to be an excellent way for me to keep up with a block along. I can’t wait to see the combinations everyone creates with this. CLICK HERE for the instructions to Block Two. I have been wondering if I should have switched the stripe print with the leaf print. I think once it is joined with the other blocks it won't make much of a difference. 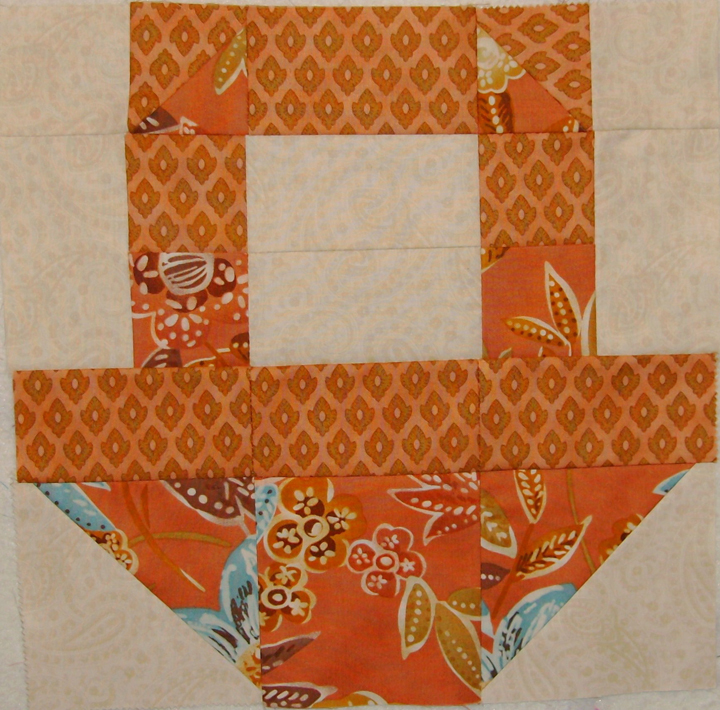 NOTE: Each of these blocks will be have a 1" frame (cut 1-1/2") in the accent fabric. 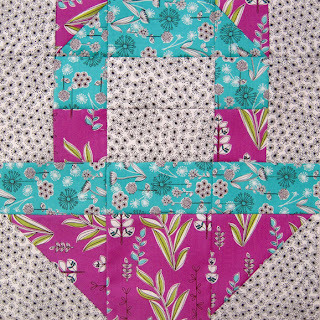 Then there will be a 2" (2-1/2" cut) sashing including a sashed border. 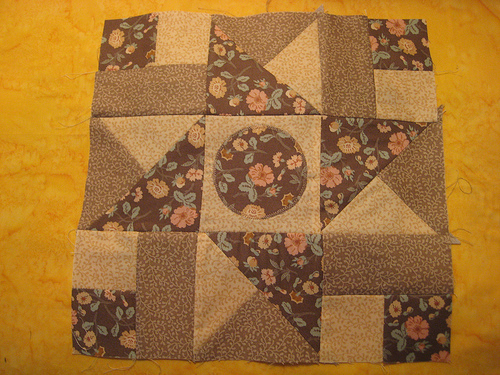 Then there will be a border from the accent fabric, then the large border. The sashing will actually be cut from your layer cake. I was noticing that I had a strip leftover from this block -- so I trimmed it to 2-1/2" and will be saving it for the sashing -- or to use in another block. After we get a few more blocks finished, I will show you more of how this will work. Well, any pictures posted in the flickr group by tonight will be entered into the first drawing. About 10 ish tonight (Mountain Time) I will post my Block One. All blocks BEFORE mine are those entered into the first drawing. They will mostly be block one, but there will also be a few speedsters who will get block two posted. It doesn't matter which block - just the one's posted before mine. If you post your block AFTER mine, then it will be entered into the next drawing. Well, you might be interested to know that Vickie is feeling pretty generous. She is giving away a Layer Cake of Simple Abundance! And I have two patterns. So there will be three prizes again this time! Okay, so they aren't. But I do have a story about some sweaters. A couple years ago. . . I honestly can't remember when it was, but it wasn't last year. . . I bought some wool sweaters at the thrift shop. My intention was to felt them, cut them into squares, and make a quilt. I got this idea when I quilted a quilt for a lady who did this. She might have used suits instead. Her quilt was huge and heavy, but it was SO cool. I loved it. I stitched it in the ditch, and I don't like stitching in the ditch AT ALL. For this quilt it was PERFECT! I couldn't find enough sweaters cheap enough at my thrift shops, so I asked my mom to pick some up for me in Arizona. She brought me a large garbage bag full of wool sweaters. Oh yeah! The sweaters all got felted and then they all got put into the storage room. They have been moved around from time to time when the storage room gets cleaned. But that's all. I guess they got tired of that because wool ganged up on me last week. As you can see, she showed us how to make Christmas stockings. She also made a cupcake pincushion (on the cake platter above) in about 5 minutes -- no sewing machine, no hot glue gun -- just a little whip stitching. So fun! She brought a book by Betz White called Warm Fuzzies. It is now on my wish list. The blog address that you may or may not be able to make out on the table above is http://blog.betzwhite.com/. She, Betz White, must be the queen of wool. I spent quite a bit of time looking at her blog. And that was day one of attack of the sweaters. Stay tuned for day two -- after Block 2 -- which comes out tomorrow! This year I had help decorating my booth. I am not good with vignettes, but my friend Machelle of Cherry Tree Cottage is. 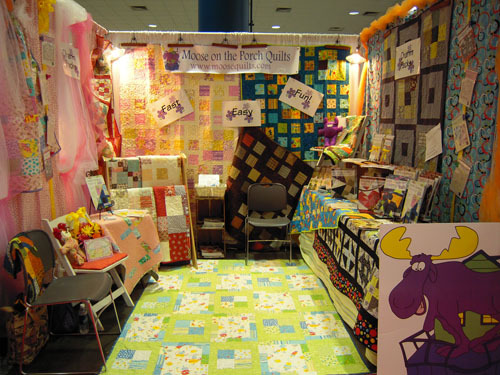 We decorated half of the booth girly and the other half boyishly because the new book is Simply Charming Kids that has a boy and a girl quilt made up of each pattern. And because I am lame sometimes, I messed up my website and can't bear to struggle through fixing it yet. So the book is not available to buy on my website yet. Guess you'll have to ask for it at your local quilt store. A couple people asked me what pattern was used. It was a McCall's pattern #5826, Creature Dolls. So here's the girly side of the booth. and the boyish side of the booth. I had planned to get pictures of other booths, but I was busy enough at my own booth not to get other pictures. I even missed getting to see what's his face from Home Makeover. I'm okay with that. I was glad to be busy talking to people. It's funny how energizing and exhausting Market is. I love it! Thanks for coming along for my tour! 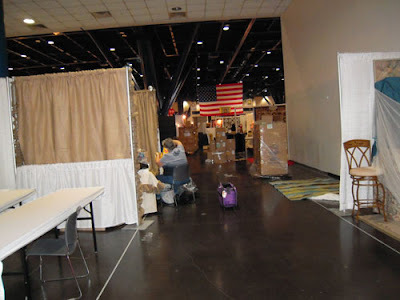 So first a little FYI, Quilt Market is a wholesale show. It is for those in the quilt business. 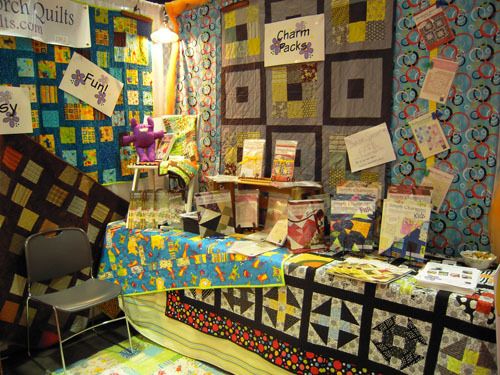 If you are in the "biz" and want more information, the website is http://www.quilts.com/. After Market is Festival. Festival is larger than Market, and anyone can attend Festival. Information on both can be found at that website. One of my favorite parts of Market is Schoolhouse. Schoolhouse is the day before Market. All day there are 15 - 30 minute "classes" where companies show their latest and greatest. 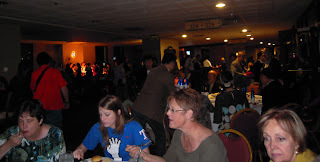 I just had a little camera so my pictures are not great. Here's a snippet of what Schoolhouse is like. What quilt show can be complete without this pair? Ricky and Alex were introducing the new GO Baby. Here's a link to their website: http://www.thequiltshow.com/ They are fun. 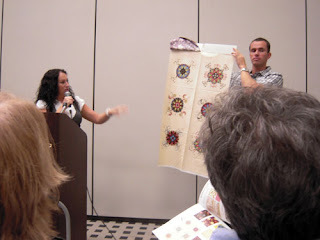 One of my favorite classes was one about Quilts of Valor. 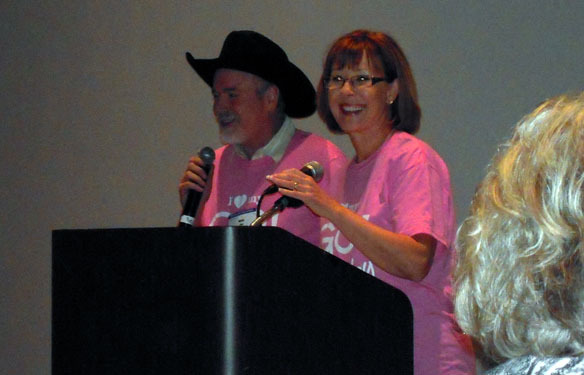 I have been involved in this organization for many years. Here is their website: http://www.qovf.org/. Marianne Fons of Fons and Porter (http://www.fonsandporter.com/aspx/fonsandporter/default.aspx) was introducing a new program called "Under Our Wings." 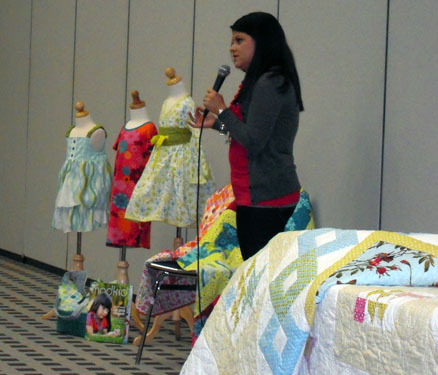 Nine fabric companies are printing special Americana fabric for Quilts of Valor and introduced a program with quilt shops to bring non-quilters into shops to sew quilts for wounded soldiers. Gudrun Erla (http://www.gudrun.typepad.com/) was also there. I got a kick out of her husband helping her. Stash Books (http://www.stashbooksblog.com/) was also there and brought along some of the projects from their new books. Another highlight of the trip was attending the Moda dinner. I haven't ever been to one before. 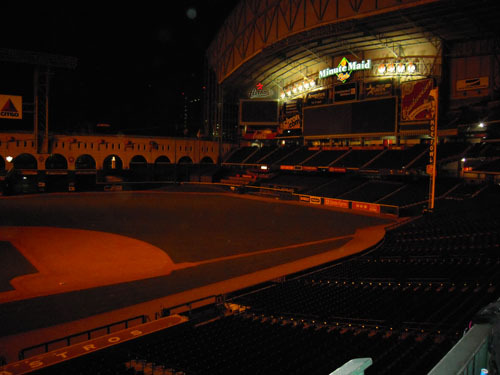 This one was at Minute Maid baseball stadium. Yummy food, fun music, getting to see a professional baseball field, it was a nice evening. I've got one more post from Market to go. 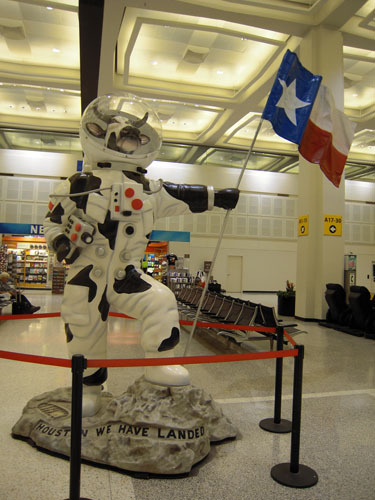 If you fly, one of the first things you see when you get to Houston is this cow astronaut. I love it! Then off to a hotel somewhere. . . . This happened to be the view out the window of our hotel. 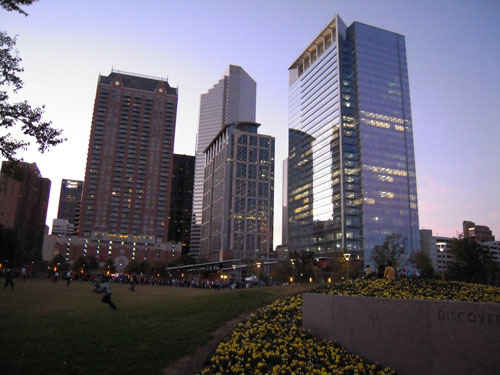 See the little (they are just little in the picture) red curved smoke stack looking things -- behind the tan skyscraper? 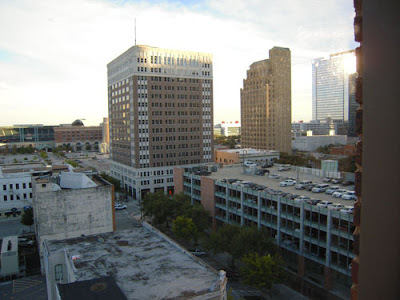 That's the convention center. Lovely sidewalk art on the way to the convention center. Here is a small snapshot of setting up. 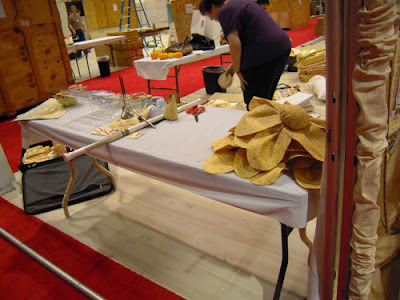 There were 23 rows of vendors. I don't know how many were in each row. This picture is actually from the take down -- what's left of the Moda area. 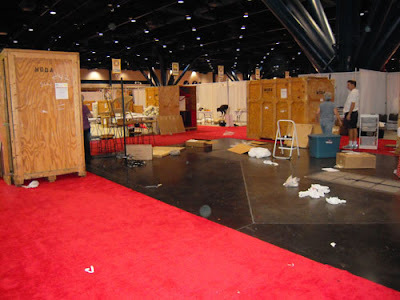 Here's what's left of Fig Tree's booth. A little pear and some flowers. I guess one day we actually left the convention center before dark. This is right outside the convention center. It seems like it was always dark when we left. Market was absolutely fabulous, as always! If you get a chance to go, I would highly recommend it. I didn't get too many pictures, but I do have a few more to show. The First Winners of the Layer Cake Quilt Along!!! 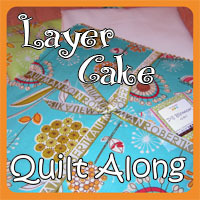 We have two -- no THREE winners in our first drawing for the Layer Cake Quilt Along! This drawing came from the comments of those of you who have signed up to participate. Any block that is posted between now and the 16th will be entered in that random drawing. Now for the winners. . . .
Yippee! I am so pumped. The JRS quilt along was great and now I'm ready for another. Perfect timing Konda. Thanks! 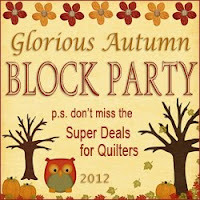 I have never participated in a quilt-a-long before, so I am really excited about this one. I am using Moda Tweet-Tweet. Not sure about my accent or border yet. Happy stitching! The flickr group is looking great!!! To start us off, we have a fun block designed by Gene Black. 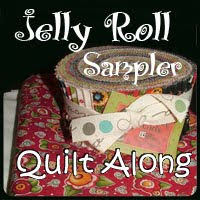 I "met" Gene through the Jelly Roll Sampler Quilt Along. Many of you also "know" Gene this way. If you don't, you will. He -- yes, he -- is very friendly and generous. I was excited when he offered to design one of our blocks. 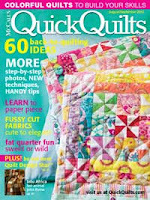 Everyone always wonders how a man started quilting. What I have discovered is that each man has his own story, although some are similar. 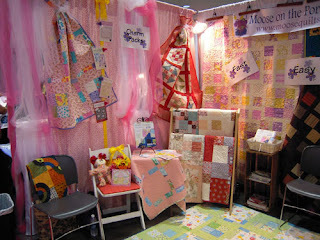 My earliest memories of quilting go back to my early childhood. 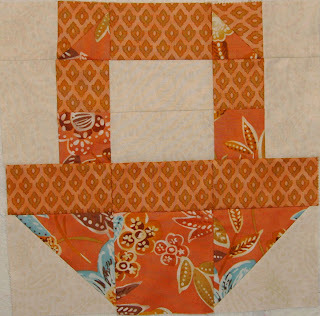 I sat on the porch under my grandmother’s quilt frame that hung from the rafters and played while “the ladies” quilted. In high school, I took “Family Life” as an elective. We learned to cook, but before that we learned to sew and made an apron. That was my introduction to using a sewing machine. I liked it! A year after I graduated I got a used Kenmore sewing machine in avocado green. Yes it was the seventies! I still have that machine and it still works. Fast forward 30 plus years. A co-worker had seen lots of my artwork and thought I should start quilting. She was teaching a class on Foundation Paper Piecing. She begged me to take the class. She even let me take it for free. I knew NOTHING about quilting or piecing. She told me that I would need an acrylic ruler with a quarter inch mark on it. Ha, I got a clear school ruler- not what she meant. So for the class she loaned me a ruler. I made the block perfectly and was the star of the class. Everyone else in there was already skilled in quilting. So I signed up for the advanced class and made a table runner. After that I started working on my own and reading blogs. 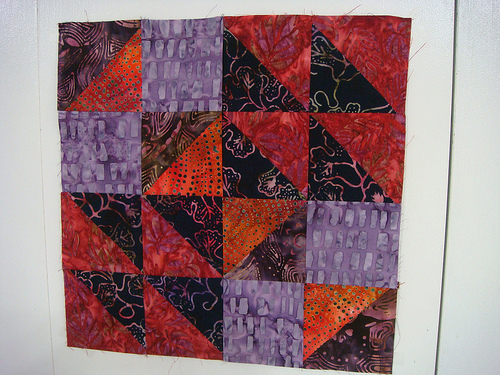 I was already writing my art blog so it became my quilting blog also. I soon let my artistic head take the lead and designed my own ideas. What I have discovered is this: There is nothing really new that you can design in a block. What you have to do is add your own spin to it. This block is called the Alabama Spinner. It is a star type block that I added my spin on. I hope you like it. I am happiest when I am creating. Besides quilting, I also paint and make jewelry. 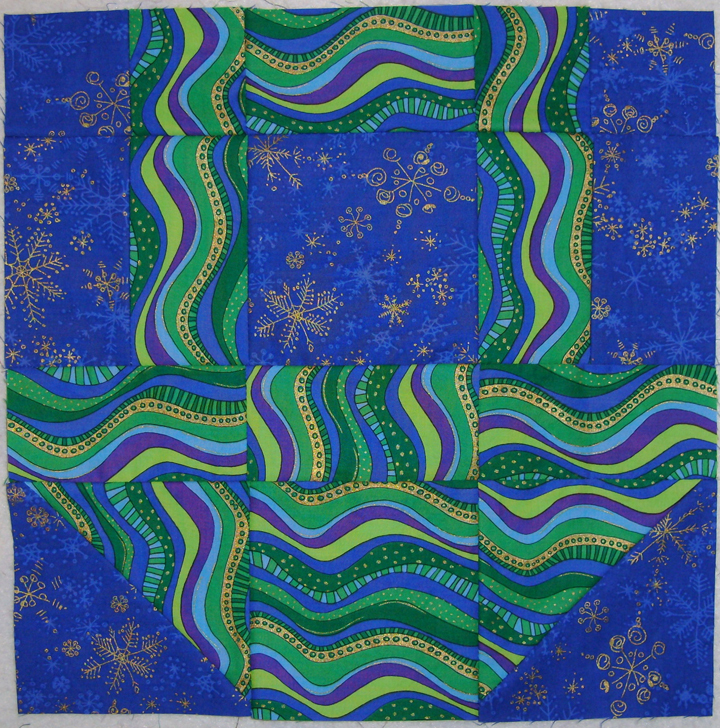 One of my desires is to use my artistic talents to design fabrics for the quilting community. Note: From time to time I get an email saying there's problems with the file. If you get mumbo jumbo when you click on the link above, try "right-clicking" on the link and clicking "Save Target As." Then save the file to your computer and try to open it. It isn't the file that is the problem, it's the download process. 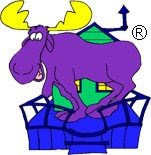 If it doesn't work after several tries, just send me an email -- kluckau@moosequilts.com -- and I will email you the file. It's called "Alabama Spinner Block," appropriate since Gene is from Alabama! ﻿Here is my version of Block One. Notice that I reversed my medium and dark fabric. I knew the pink was darker, but I thought there was such a good contrast between the green and the pink that it wouldn't really matter. And I wanted a green center star! Well, sometimes you get just what you asked for. I think I would like the block better if I had followed the directions. ﻿Then the star would have stood out more. It stands out more in the photo than it does in person. Oh well, that's what happens you experiment, sometimes you like the results, sometimes you don't. I love the block, and I love the colors, so I won't sweat that it could've been a little better. After you make your block, upload a picture on our new flickr group HERE. Rule 1) Post only one picture of each block. That's the only rule. 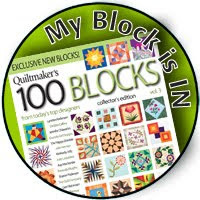 Any blocks posted before the deadline will be entered into the next drawing. Any blocks posted after the deadline will be entered into the next drawing. Are you ready for the first drawing?! I will post winners tomorrow. 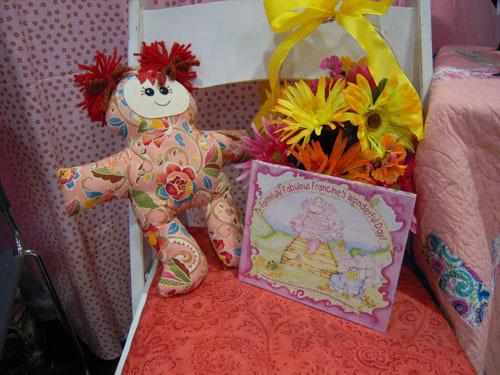 Prize 1) A couple Dandelion Girl charm packs courtesy of Gene. 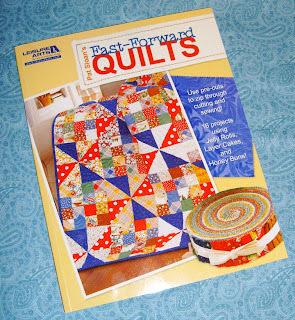 Prize 2) A quilt book, Simply Charming Fun, courtesy of me. Yeah! Start sewing today and stay tuned tomorrow . . . .